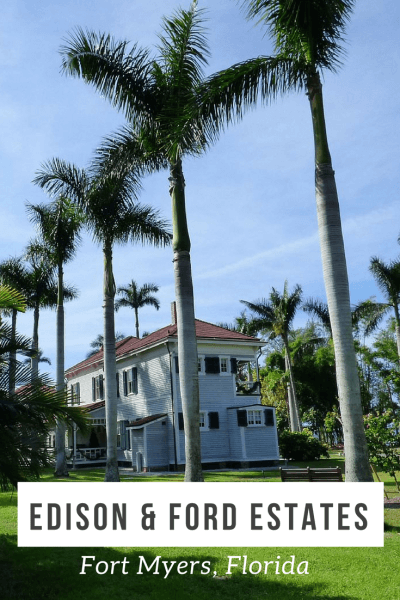 If you think “snowbirding for the winter” is a recent phenomenon, there’s a place you should check out in Florida: the Edison & Ford Winter Estates in Fort Myers. 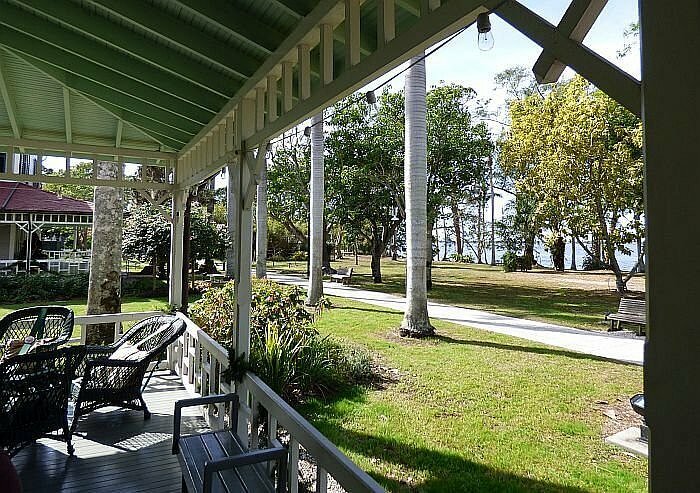 Thomas Edison bought a waterfront estate on the Caloosahatchee River in Ft. Myers in 1886 and escaped most New Jersey winters the second half of his life to live and work in sunny Florida. The climate was also good for his respiratory issues, so he generally stayed from January through March. After Henry Ford visited in 1914, he ended up buying the adjoining property and building his own getaway home there in 1916. Ford was no slouch in the inventing realm either, with 161 patents in his name. The two of them spent a lot of time tinkering together, working in conjunction with frequent visitor Harvey Firestone, the tire magnate. They were working on challenges like finding the best filament for light bulbs and trying to come up with a replacement for rubber, which was only coming out of the Amazon River region of Brazil. They tested more than 17,000 plants, trying to find a latex substitute, but none could produce enough in quantity to meet the industrial and military needs. When they weren’t working—which was most of the time for Edison—they went out boating, hunting, and fishing. They kept collecting plant samples along the way. Edison worked until the day he died, in 1931 at the age of 84. The botanic research lab here was operational until 1936, when the research project transferred to the U.S. Department of Agriculture. 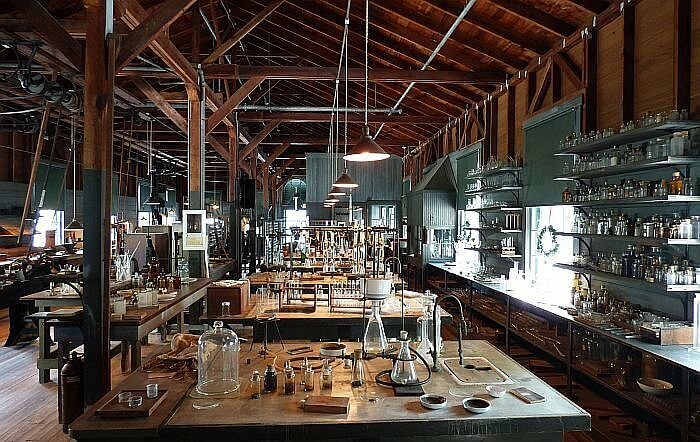 The estate is an interesting place to visit, even if you’re not that into the lab work history. The non-profit preservation work restored all the buildings to their 1929 appearance. It’s fascinating to see how they lived then and it was rather lavish for those times. They had their own swimming pool overlooking the river through banana trees, great porches for sipping a lemonade in the breeze, and a large living room with overhead lighting, a piano, and a phonograph. Grand palm trees imported from Cuba shade the homes. (The palms also lined the main boulevard in Fort Myers and 11 of them from that time are still alive.) Edison installed electricity early on, 11 years before the city got it. All the original buildings are here, with the homes, the guest house, the caretaker’s building, Edison’s study, the garage (for new Fords of course), a river pavilion, and a large laboratory on the other side of the road. Edison planted a Banyan Tree near the lab in 1927 while doing his rubber substitute research and it’s now one of the largest in the continental USA. The materials you can pick up on site with your admission provide a lot of information, but you can also rent a headset for a recorded audio tour or go on a walking tour with a guide who can answer questions. See info on those here. 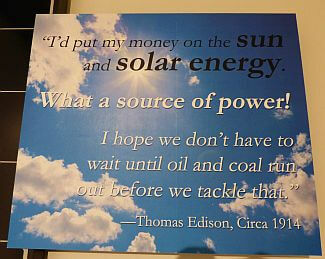 If you are into the histories of Thomas Edison and Henry Ford, the museum displays here are thorough and fascinating. Many inventions from the two men are on display, with original phonographs, movie projectors, battery packs, and cars. The museum also provides some insight into the lives of the two men and Edison’ biography will probably give some young restless men (and their parents) some hope. He was a terrible student and probably would be on all kinds of drugs these days to settle him down. He was kicked out of school because he couldn’t focus and went to work. He learned by reading, tinkering, and experimenting. He also wouldn’t have won any awards as “world’s greatest husband.” He frequently forgot anniversaries and kids’ birthdays, didn’t spend much time with his ailing first wife before she died, and then married a 20-year-old woman when his first child was 13. But hey, his work still impacts your life almost every hour of your day: without his battery developments and DC power, you wouldn’t be reading this on a smartphone or a tablet. You might not even be hearing that recorded music in the background. 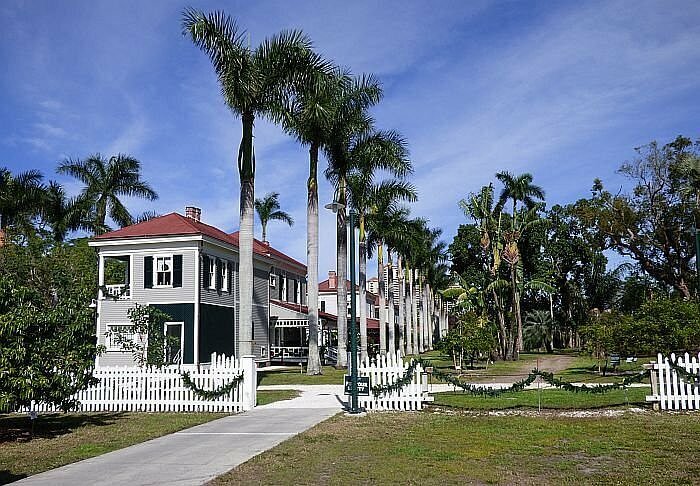 The Edison & Ford Winter Estate is open every day except Thanksgiving and Christmas, near the center of Fort Myers, Florida on the Gulf side of Florida. See hours, rates, and more info at EdisonFordWinterEstates.org. Interesting article and apparently factual except Edison’s first wife died while still married to him. He may not have been the most involved spouse but they were not divorced. Jeff, you are correct, thanks. I have edited that sentence.